There are several working groups in the Peace Division. Their purpose is to further the goals of the division. Children and Family Peace (WG): Works to advance the understanding and treatment of the damaging psycho-social consequences of war on children and families living in combat zones around the world. Co-Chair: Petra Hesse, Wheelock College, 200 The Riverway, Boston, MA 02215. Conflict Resolution (WG): Focuses on the management and resolution of conflict in local and global settings. Environmental Protection and Justice (WG): Builds links between peace psychology and a wide range of issues concerning the environment, justice and protection. Ethnicity and Peace (WG) : works to increase understanding of the links between peace and ethnic conflict and to build ethnic and minority perspectives into the activities of the division. Feminism and Peace (WG) : Works to build connections between feminist scholarship and peace psychology and to integrate feminist perspectives into the life and activities of the Division. Chair: Linda M. Woolf, Department of Behavioral and Social Sciences, Webster University, 470 East Lockwood Avenue, St. Louis, MO 63119-3194. Globalization, Structural Violence, and Disarmament (WG) : Monitors defense, disarmament, and conversion programs and prepares legislative updates and policy proposals. 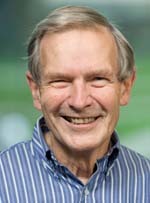 Co-chair: Marc Pilisuk, Saybrook Institute & University of California-Davis, 94708-1206. Immigration and the Arizona Law (TF): to draft a statement by December 1 that updates and expands on Division statements and positions. The TF draft will include a general statement regarding how peace psychology perspectives can be used to frame responses to the Arizona law as well as specific recommendations for how the Division, the Society, and individuals, including psychologists in the Division, can respond. Peace and Education (WG) : Identifies and promotes application of peace psychology in education at all levels. Peace and Spirituality (WG): Works to identify the values that sustain individuals and societies in their quest for a peaceful and less violent world. The group is interested also in the way that such values inform the practice of psychologists relevant to peacebuilding and violence prevention. Psychological and Humanitarian Issues in the Israel-Palestine Conflict (TF): charged with engaging our members and others in thoughtful constructive �action-oriented dialogue� on psychological and humanitarian issues in the Israeli-Egyptian blockade of Gaza. It will develop empirically-based conclusions and recommendations to inform our understanding of this violent intractable complex conflict and to inform the development of peace-related policy at various levels. Chair: Ethel Tobach, American Museum of Natural History, Central Park West, NY, NY. Peace Psychology Teaching Resource Collection: Linda M. Woolf, Department of Behavioral and Social Sciences, Webster University, 470 East Lockwood Avenue, St. Louis, MO 63119-3194. Division 2 (Society for Teaching of Psychology). The contact person for this division is Linda M. Woolf, Department of Behavioral and Social Sciences, Webster University, 470 East Lockwood Avenue, St. Louis, MO 63119-3194. Association for Black Psychologists. Deborah Fish Ragin, Montclair State University, Upper Montclair, NJ 07043 and Kathleen Dockett, University of the District of Columbia, Washington, DC 20008.